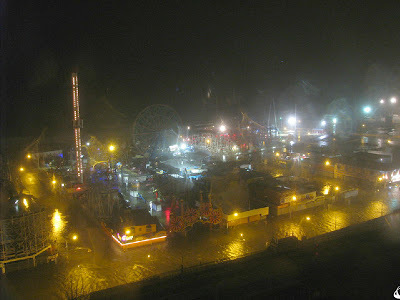 Here's a blog posting by someone who took a walk down the boardwalk after the storm. Sunday, November 4, 2012, 10 a.m.
Free! Meet the amazing birds of Prospect Park on this expert-guided walk. Start your Sunday morning surrounded by nature! Registration opens Monday 10/22. Ride: $15. Join herbalist Gert Coleman for a walk through the paths and gardens at Conference House Park to identify both wild and cultivated medicinal plants. Meet in the parking lot at the end of Hylan Blvd. Saturday, November 3, 2012, 12 noon to 2:00 p.m.
Be ready to do a lot of walking on sand. We will meet at the Conference House Pavilion at the end of Hylan Blvd and walk the beach to Mount Loretto. Expect to find a variety of seashells and other evidence of marine and inter-tidal life as well as flotsam and jetsam of human activities. 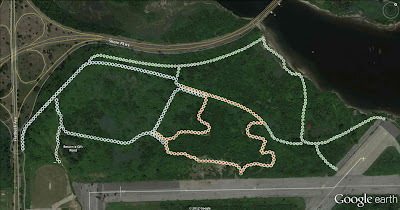 Meet at 7:15 a.m. at the small community garden at Ft. Tilden. From the Belt Pkwy take Exit 11S - Flatbush Av south. 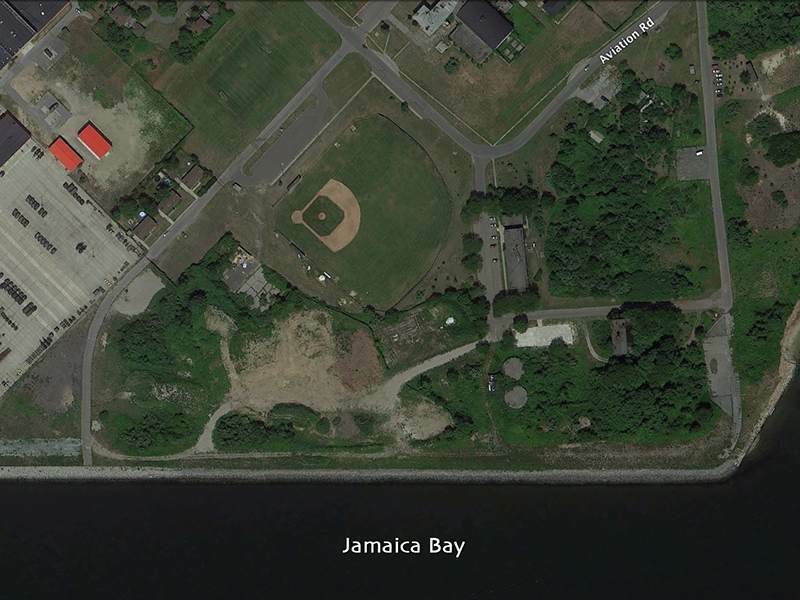 Go over the Marine Park Bridge (toll) and exit on the right toward Breezy Point. Turn left at the first traffic light a short distance west of the bridge to enter Ft. Tilden. There is a small parking area on the right along the entrance road. The community garden is just to the west. We will be birding in the immediate area for a time so it should be easy for you to find the group if you're a few minutes late. Note that the restrooms at our meeting spot will not be open. The varied habitat often turns up nice finds in the fields, woods, and in the water. Greetings. 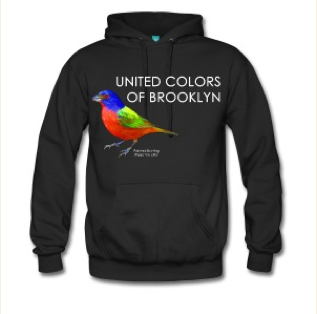 This is the New York Rare Bird Alert for Friday, October 26th 2012 at 9pm. The highlights of today's tape are SAY'S PHOEBE, BARNACLE GOOSE, BROWN PELICAN, BAIRD'S SANDPIPER, BICKNELL'S THRUSH, PHILADELPHIA VIREO, BLUE GROSBEAK, DICKCISSEL, GRASSHOPPER SPARROW and PINE SISKIN. Following last Sunday's dynamic coastal flight it was anticipated that a good rarity would show up in its aftermath. This prediction fulfilled with the report Monday of a SAY'S PHOEBE around 11am near the Fire Island lighthouse at the eastern end of Robert Moses State Park. Unfortunately the phoebe quickly disappeared and could not be relocated. BLUE GROSBEAK was also in the same area. The Sunday flight itself produced huge presumably unprecedented numbers of PINE SISKINS all along the coast. A dedicated count at field 2 at Robert Moses State Park recorded 20,275 passing by starting around 8am with flocks still moving by after 1pm. The other major mover that day was YELLOW-RUMPED WARBLER with over 15 thousand counted and other totals of passing migrants included almost 1,900 AMERICAN GOLDFINCH and 73 RED-BREASTED NUTHATCHES. A PHILADELPHIA VIREO was seen near the main maintenance buildings at Moses Park Sunday. PINE SISKINS are now well dispersed throughout our area. The big news within the city limits was the appearance Wednesday of a BARNACLE GOOSE at Prospect Park Lake. The bird staying most of the time around the lake itself in the company of a varying number of Canada Geese. This BARNACLE GOOSE was still on the lake this morning. Other recent interesting reports from Prospect included ORANGE-CROWNED WARBLER and CLAY-COLORED and VESPER SPARROWS. 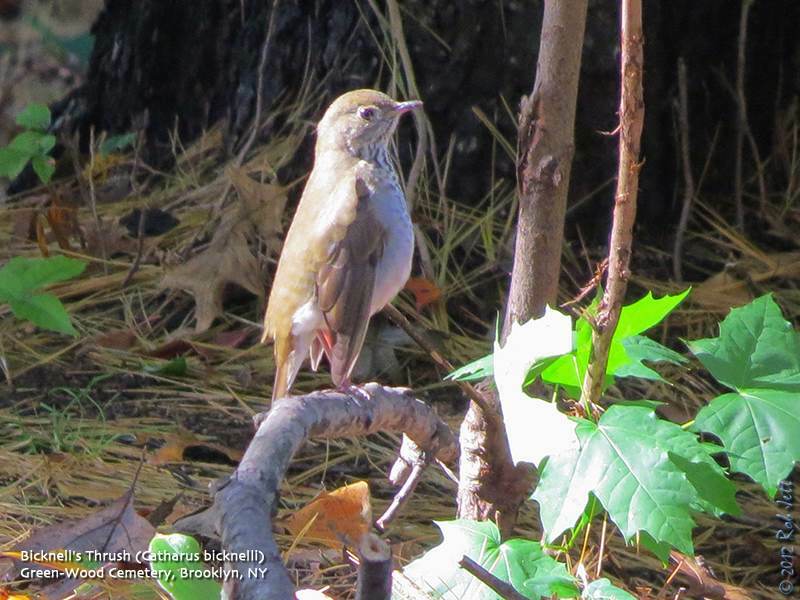 Another good Brooklyn find was a somewhat late BICKNELL'S THRUSH last Saturday at Green-wood Cemetery seen again on Sunday morning. On Staten Island 2 BROWN PELICANS were present Saturday on the water off Mount Loretto Unique Area where a RED-HEADED WOODPECKER was seen again Tuesday. Mount Loretto is off Hylan Boulevard. 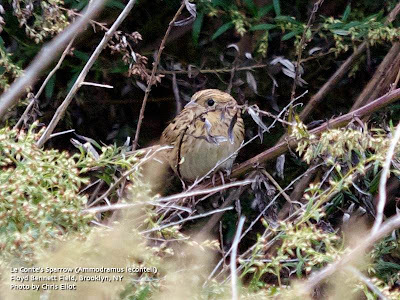 Also in the city a BLUE GROSBEAK was reported from Kissena Park Thursday, a VESPER SPARROW was at Alley Pond Park Thursday and today with a GRASSHOPPER SPARROW there last Sunday. Two COMMON RAVENS were around the Bronx Zoo Thursday and an ORANGE-CROWNED WARBLER was a Van Cortlandt Park last Saturday. Another GRASSHOPPER SPARROW was at Marshlands Conservancy in Rye on Wednesday another good flight day locally. At Jamaica Bay Wildlife Refuge Sunday afternoon there were 2 STILT, 4 PECTORAL and 2 WHITE-RUMPED SANDPIPERS and a LONG-BILLED DOWITCHER on the East Pond. Out at Jones Beach West End up to 3 VESPER SPARROWS have been around the edge of parking field 2 during the week and a bar off the Coast Guard Station hosted 8 ROYAL TERNS last Sunday along with good numbers of lingering AMERICAN OYSTERCATCHERS, FORSTER'S TERNS and BLACK SKIMMERS. 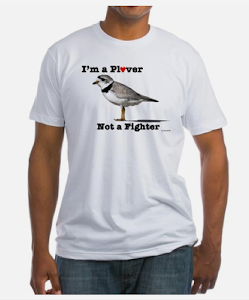 AMERICAN GOLDEN-PLOVER joined some Black-bellied Plovers in the Point Lookout Town Park parking lot last Sunday. Farther east on Long Island a GLAUCOUS GULL along with a CASPIAN and some ROYAL TERNS were all at Smith Point County Park in Shirley last Saturday. Two CATTLE EGRETS have again been at the Mecox Dairy recently this off Mecox Road where it meets Halsey Lane. BAIRD'S SANDPIPER was on the Mecox flats, or what's left of them, last Friday and Saturday. 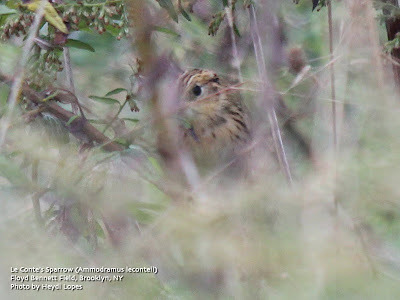 Among the nice congregation of birds at the ECL Farm off Long Lane in East Hampton last Saturday were a DICKCISSEL plus 3 VESPER and 14 WHITE-CROWNED SPARROWS and a LARK SPARROW was off Town Lane in Amagansett on Sunday. Noted both locally and out east recently have been some NELSON'S SPARROWS gathering in appropriate salt marshes but not unexpectedly more than one race involved. More interestingly a few EVENING GROSBEAKS have shown up in Suffolk County late this week. The Bicknell's Thrush is a species of highest conservation concern in North America. This is due to their small population, limited breeding and wintering ranges, and vulnerability to deforestation in its winter habitat. Difficult to differentiate from the closely related Gray-cheeked Thrush, they weren't recognized as a distinct species until 1995. This individual responded to recorded bicknell's call, but did not to gray-cheeked calls. Here's a page of multimedia resources for Bicknell's Thrush identification. I have more photos of this individual here. Note: nearest train is "F" or "G" to Prospect Park /15th St station. No registration. Meet at 64th St. and Central Park West at 10:00 a.m. Weather permitting, walks start at 9:30 a.m. unless indicated otherwise. If in doubt, call the trip leader. Saturday, October 27, 2012 Minitrip - Jamaica Bay Wildlife Refuge Leader: Ian Resnick Description: Jamaica Bay is world famous, need I say more? Greetings. This is the New York Rare Bird Alert for Friday, October 19th 2012 at 9pm. The highlights of today's tape are a possible THAYER'S GULL, WESTERN KINGBIRD, EURASIAN WIGEON, CLAY-COLORED SPARROW, LARK SPARROW, DICKCISSEL and RED-HEADED WOODPECKER. This was a more typical Fall week lacking some of the better rarities present in the preceding weeks with the possible exception of what was believed to be an immature THAYER'S GULL seen and photographed early this afternoon on parking field 2 at Robert Moses State Park on Fire Island. There were also 6 LESSER BLACK-BACKED GULLS present. The THAYER'S flew down the beach and was not subsequently relocated. Probably the most unusual bird in the city limits was a WESTERN KINGBIRD that put in a brief appearance in Prospect Park in Brooklyn Wednesday afternoon the bird perching on trees on the south side of the baseball fields before moving off. In Central Park an immature MOURNING WARBLER with only one leg has been lingering north of Tupelo Meadow in the Ramble since Saturday. 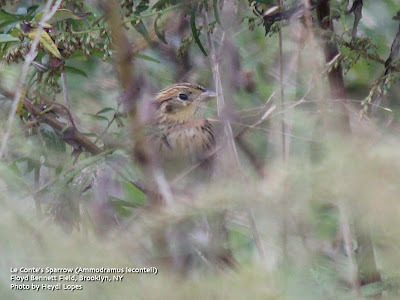 Among the other warblers have been an ORANGE-CROWNED at the north end last weekend and a couple of CAPE MAYS on Tuesday. A LONG-EARED OWL has also shown up and PINE SISKINS and PURPLE FINCHES plus many seasonal sparrows and other later landbirds are currently in residence not only in Central but in most other city parks as well. Siskin numbers have been huge and there is indication that Red Crossbill and Evening Grosbeak may be on their way south as well. Another ORANGE-CROWNED WARBLER was found at Powell's Cove Park in Queens today. 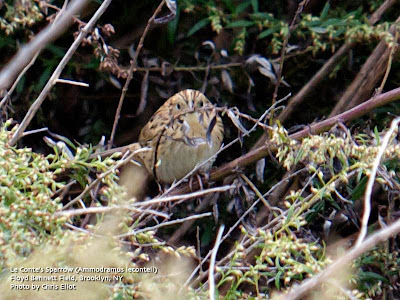 Some "sharp-tailed" type sparrows in a marsh on the northeast shore of Randall's Island recently have provoked some discussion as both NELSON'S and SALTMARSH could be present. Single CLAY-COLORED SPARROWS were spotted near the ballfields at Fort Tilden and along the hedgerow at the Jones Beach West End Coast Guard Station during the week and others have been proposed. With an interesting increase in the number of CLAY-COLORED SPARROWS reported this Fall we do hope that observers are carefully eliminating immature Chipping Sparrow which can look very similar to a CLAY-COLORED. Probably the most consistent separating field mark is the unmarked, plain buffy lores of a CLAY-COLORED where as Chipping has a dark loral streak sometimes not easy to see. 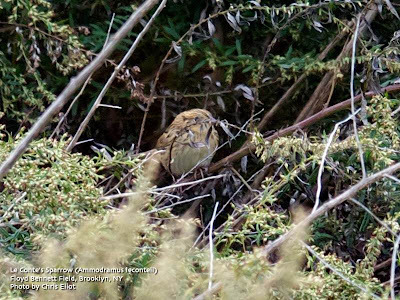 VESPER SPARROWS have shown up well this past week with one at Floyd Bennett Field Saturday, 3 at All Faiths Cemetery in Middle Village Queens on Sunday and on northern Long Island 3 at Caumsett State Park Thursday and 3 at Upland Farm Sanctuary in Cold Spring Harbor today with a few others also noted. Other birds at Caumsett Thursday featured 6 SNOW GEESE, HORNED GREBE, SOLITARY SANDPIPER, some EASTERN BLUEBIRDS, 2 RUSTY BLACKBIRDS and 12 EASTERN MEADOWLARKS. Recent shorebirds on Jamaica Bay Wildlife Refuge's East Pond have included STILT SANDPIPER and WILSON'S SNIPE Saturday, some PECTORAL and 2 LEAST SANDPIPERS and increasing numbers of DUNLIN Wednesday while birds on the bar off the Jones Beach West End Coast Guard Station last Sunday included 2 LONG-BILLED DOWITCHERS, a WESTERN SANDPIPER and 5 RED KNOTS with 1 COMMON and 3 ROYAL TERNS and a BONAPARTE'S GULL and 3 LESSER BLACK-BACKED GULLS were on the West End parking lot 2. A drake EURASIAN WIGEON coming into plumage has been present in Sayville recently seen Monday and Thursday on Mill Pond just off Montauk Highway. Moving east at Smith Point County Park in Shirley Saturday there were 3 DICKCISSELS and an immature RED-HEADED WOODPECKER while Thursday produced 9 lingering ROYAL TERNS and a flight of 600 plus PINE SISKINS. Six more ROYALS were at Mecox on Monday. Highlights at Montauk Point included a PARASITIC JAEGER and a CLAY-COLORED SPARROW on Monday the CLAY-COLORED continuing to Wednesday when 12 COMMON EIDER were also offshore. 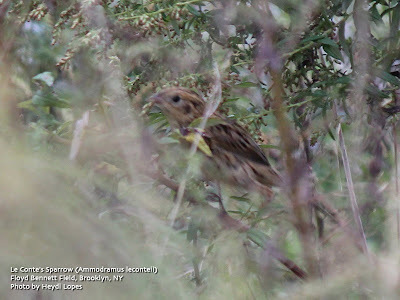 At the ECL Farm along Long Lane in East Hampton Wednesday there were a LARK SPARROW and 2 DICKCISSELS. A good variety of hawks including GOLDEN EAGLE and NORTHERN GOSHAWK have been passing by inland hawkwatches on good winds recently. Pine Siskins, a relative of the American Goldfinch, are usually found North of NYC in the Winter. During years of food shortages, however, large flocks will move farther South in search of seed crops. This appears to be one of those years. They can sometimes be found mixed in with flocks of goldfinches. Look for them at your thistle feeders this Winter. I had a little down time late yesterday afternoon, so decided to take a quick walk around Prospect Park. What began as an uneventful bit of birding ended with a sighting that nearly knocked me off my feet. My short walk took me through the Ravine, across the Nethermead Meadow, then up to Breeze Hill. I returned via Lookout Hill's Butterfly Meadow, then back through the Ravine. The walk was relatively uneventful. There were a fair number of sparrows on the grass and surrounding berm on Breeze Hill, but nothing out of the ordinary. I was walking home through the Ravine and had just passed the Fallkill Falls when I spotted Bobbi Manian scanning the small wildflower meadow near the entrance of the Ravine. We compared notes and found that we had seen pretty much the same birds. Both of us were leaving the park and I suggested that we take one last look at the area between the baseball fields. I had seen a lot of birds there when I first started my walk. A nice mixed flock of sparrows at baseball field 6 held our attention for about 10 or 15 minutes. There were several White-crowned Sparrows in the mix, as well as, a very yellow Palm Warbler. Suddenly, all the birds flushed up into the trees and I looked across the fields expecting to see a Merlin of some other raptor buzzing the field. Instead I saw a medium-sized, bright yellow songbird flying low across the grass. It perched near the top of a leafless elm tree at the edge of the sidewalk behind us. When I focused my bins on the bird I was shocked and probably shouted something not repeatable here...it was a Western Kingbird! This western vagrant was never on my radar for Prospect Park (although, with the area's recent sightings, it probably should have been). Fortunately, Bobbi had her camera with her and she snapped off a few pics. The bird stuck around for about 5 minutes but eventually started flying to tree tops a little farther back until we lost sight of it. The area of Prospect Park where it seemed to be heading is the fenced off Quaker Cemetery, which is off limits to the public. Peter just got off work and joined us as we spent another hour trying to relocate the flycatcher. There is an entrance to the cemetery on Center Drive, but the view is limited from the locked gate. We also checked the trees around the Nethermead Meadow, the Butterfly Meadow on Lookout Hill and the Peninsula Meadow with no luck. It seems like the normal expected habitat for this bird doesn't always apply when they stray to the East coast as I've seen them at the water's edge in Fort Tilden, the rock garden at The New York Botanic Garden and, now, Prospect Park's ball fields. Hopefully it will stick around Brooklyn. 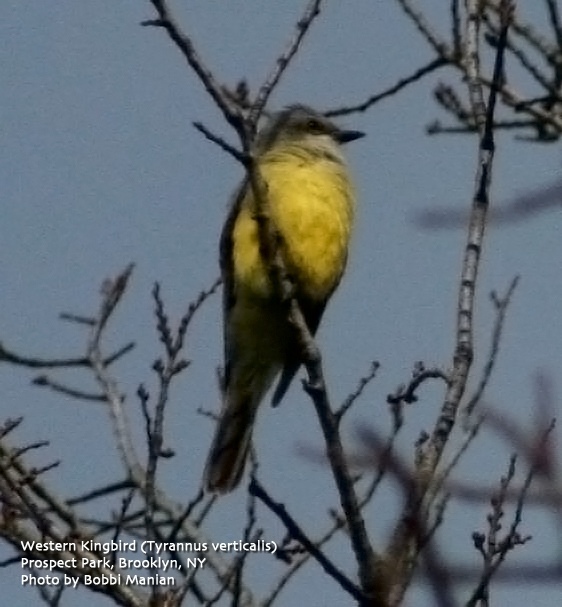 This is the first record of Western Kingbird in Prospect Park. Here is a link to Cornell's eBird website with a map of this year's Western Kingbird sightings around New York State. Last Friday evening a cold front moved into the area leading me to believe there would be a good movement of South-bound birds coming through the city. I thought coastal Brooklyn might be the best spot to find a few incoming species. That turned out to be the understatement of the year. As the sun was coming up Saturday morning, Heydi and I were walking into Calvert Vaux Park in Brooklyn. Birds seemed to be dropping out of the sky everywhere. The walk through a weedy path between 6 Diamonds Park and Calvert Vaux flushed hundreds of Yellow-rumped Warblers, White-throated Sparrows, Song Sparrows and Swamp Sparrows. I was overwhelmed by the volume of birds and movement, not knowing where to look first. Calvert Vaux Park is on a relatively small, man-made peninsula that borders Coney Island Creek and juts into Gravesend Bay. Frequently, South-bound birds will pile up there before crossing the water to continue their journey. During the 4 hours we spent there we experienced an incredible, nearly non-stop movement of birds. I wanted to check out the large, grass soccer fields before any players arrived, hoping to find an Eastern Meadowlark. 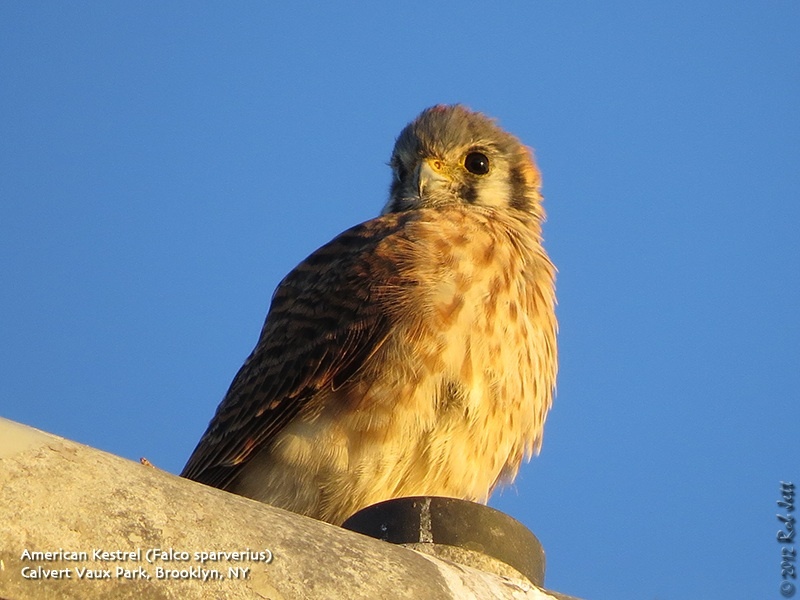 A vocalizing American Kestrel circled the field before coming to rest atop a tall street light. Feeding primarily on insects, such as crickets, it is a favorite perch for these small, colorful falcons. I've photographed them on these lampposts many times in the past. Walking clockwise around the field, I commented that we were certain to find meadowlarks. No sooner had those words left my mouth that an Eastern Meadowlark flew in and perched atop a planetree. It called a few times before flying down to the grass where it nervously fed for several minutes. Throughout the morning we found that the most abundant species were Yellow-rumped Warblers and White-throated Sparrows. I'm sure that any estimates we made were extremely low given the impossible task of counting these quick moving, hungry birds. At one point, I lifted my gloved hand to shade my eyes from the low, early morning sun. A Yellow-rumped Warbler, presumably chasing an insect, headed directly towards me and momentarily perched on the edge of my hand. The White-throated Sparrows, which tend to stick to the edges of weedy habitat, were difficult to judge flock size as many birds fed in the dried leaf litter beneath dense plant growth. There were several times when I thought I was seeing a flock of 10 or 20 individuals, until a passing raptor would cause the whole flock to take flight revealing three times the number of birds. We also tallied the highest number of White-crowned Sparrows and Swamp Sparrows that I've ever experienced in a single day in NYC. The highlight of the morning, however, was seeing (and hearing) several good sized flocks of Pine Siskins. I estimate that there were around 200 feeding on thistle and other dried seeds around the peninsula. It was one of the few times since I've been birding that I observed more siskins than the related goldfinches, which are usually common at this time of year. There were also a good number of Purple Finches seen and heard. I spoke with my friend Keir during the morning, who was also birding along the coast at Floyd Bennett Field. He described a similar scenario of birds flying all over the place. He shot a short video of the bird activity along the North 40 trail, which you can see here. One of the reasons the birds were moving so quickly was that there was also a lot of raptors on patrol. 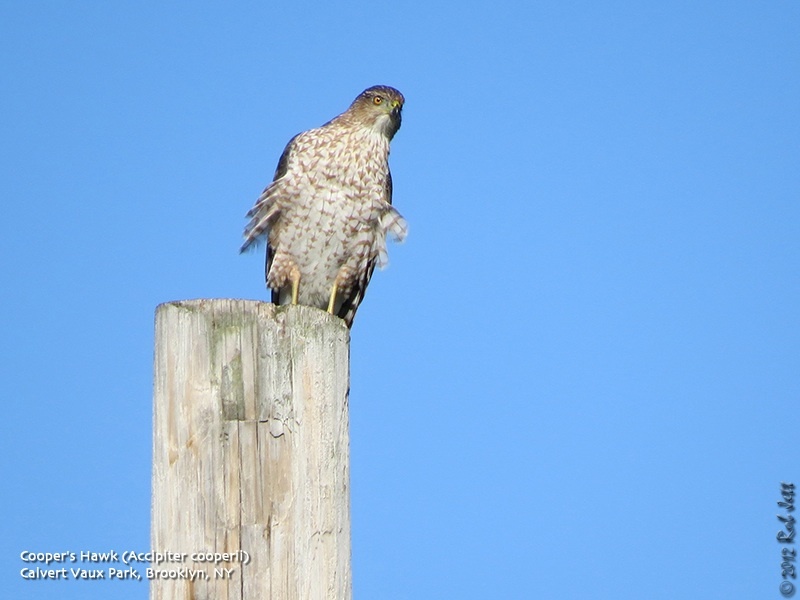 A pair of Cooper's Hawks made there presence felt during the late morning with this large, adult bird perching on a telephone pole between two baseball fields. In the afternoon we birded at Green-Wood Cemetery where we heard only a few siskins. Bird activity at the cemetery was also very good, but not nearly as impressive as at the coast. 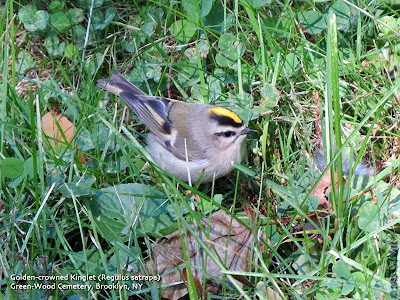 Both species of kinglets were everywhere with the tiny Golden-crowned Kinglet frequently seen feeding on the ground. I nearly stepped on this individual foraging in the grass next to the Dell Water. It is interesting to note that Hermit Thrushes were abundant at Green-Wood and we also counted probably my single day high for Winter Wrens. Early in the morning at Calvert Vaux Park we came across this Woolly Bear Caterpillar. Legend has it that the width of the central reddish-brown band is an indicator of the coming Winter's severity. If the band is narrow, it will be a harsh Winter. If the band is wide, like this individual, the season will be mild. Unfortunately, there is no scientific evidence that the bands mean anything of a meteorological nature. In fact, the previous weekend Rich, Heydi and I came across one who was completely black! 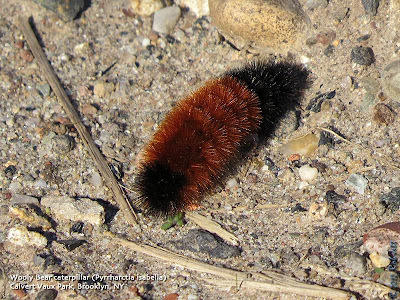 I don't actually mind the cold, so a normal Winter would be alright by me, although I'm not sure how the Woolly Bears feel about that. It impacts the economy, the environment, food and water, population, everything. To best understand these issues, we first need to understand energy — and that's the goal of this project. Then we need to get efficient. Energy efficiency reduces emissions, stabilizes prices, extends supply and saves money. And each one of us can make an impact, starting today. Sunday, October 21, 2012, 3 p.m.
Guide: Gabriel Willow With NYC Parks and the Greenbelt Conservancy Meet at the Manhattan terminal of the S.I. Ferry and join us as we journey to Moses Mountain, which provides a panoramic view of Staten Island and points beyond. We'll look for migrating hawks, warblers, and other songbirds—with crimson sumac and other autumn foliage as a backdrop. Bring lunch, water, and binoculars. Transportation on Staten Island provided. Limited to 18. $30 Click here to register! Saturday, October 20, 2012, 9:00 a.m. to 11:30 a.m. The Natural Resources Protective Association is conducting one of their many clean-ups along the Arthur Kill. Clean-ups involve collecting floatables, discarded cans, bottles and tires that foul our waterways. Tools and gloves are provided. Appropriate shoes a must. Meet at the corner of Bard Avenue and Richmond Terrace. For more information call Jim Scarcella at 718-873-4291. Saturday, October 20, 2012, 10:00 a.m. to 2:00 p.m.
Meet in the Nevada Ave parking lot at High Rock Park. We will descend the Red Dot Trail behind the administration buildings to cut invasive vines and use weed wrenches to remove invasive Devil’s Walking Stick from extension of Altamont Street on the hillside below. After a two-hour work session (our 195 consecutive workshop), we will take a short walk over nearby trails. Sunday, October 21, 2012, 11 a.m. to 2 p.m. Call 718-477-0545 for more information. Greetings. This is the New York Rare Bird Alert for Friday, October 12th, at 10:00pm. The highlights of today's tape are LE CONTE'S SPARROW, SEDGE WREN, YELLOW-HEADED BLACKBIRD, AMERICAN WHITE PELICAN, WESTERN KINGBIRD, BLUE GROSBEAK, DICKCISSEL, LARK SPARROW, CLAY-COLORED SPARROW, and RED-HEADED WOODPECKER. Some interesting land birds were found in the area this week, topped by a LE CONTE'S SPARROW spotted at a back section of Floyd Bennett Field last Saturday. Some photos were managed before the bird disappeared, and it could not be relocated on Sunday. Other birds at Floyd Bennett during the week included a PHILADELPHIA VIREO Saturday and a BLUE GROSBEAK in the Community Garden from Monday through Thursday, and a POMARINE JAEGER (sitting unhappily, based on the photos) on a runway for a while on Wednesday. In that same general area, a WESTERN KINGBIRD was found today around the Fishermen's Parking Lot at Breezy Point. In other city parks, Central Park featured a BLUE GROSBEAK in the Ramble on Monday, and a BLACK-BILLED CUCKOO was among the good mix of birds there Tuesday. Also on Tuesday, a flock of ~50 PINE SISKINS visited the Lake's Upper Lobe, and a CLAY-COLORED SPARROW was reported at the north end on Thursday. Prospect Park in Brooklyn featured a NELSON'S SPARROW along with a YELLOW-BILLED CUCKOO and a late BLUE-WINGED WARBLER on Thursday. At Jamaica Bay Wildlife Refuge, the AMERICAN WHITE PELICAN was still on the East Pond Thursday, where it was joined by a LONG-BILLED DOWITCHER among the shorebirds and 15 SNOW GEESE among the waterfowl. In Queens on Wednesday, a VESPER SPARROW was found Wednesday and again today at All Faith's Cemetery in Middle Village, and a BLUE GROSBEAK was there on Tuesday. In Westchester County two AMERICAN WHITE PELICANS, found Sunday in Milton Harbor off Marshlands Conservancy in Rye, moved over to the Lakeside Playland Park for Monday through Wednesday, but have not been seen since. A SEDGE WREN was reported today from an obscure location at Pelham Bay Park in the Bronx. 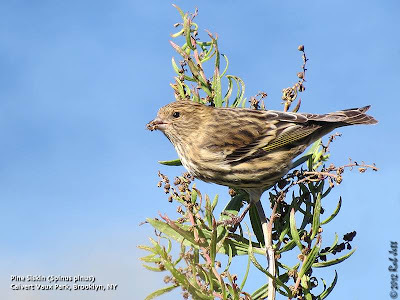 Out along the southern beaches of Long Island, some good coastal migration has certainly been topped by a heavy movement of PINE SISKINS. High morning counts last Sunday and again on Thursday and Friday produced totals close to 2,000 at sites such as Robert Moses State Park, Jones Beach West End, and even out east in the Montauk area, these sustained high numbers reaching epic proportions. Lesser numbers of PURPLE FINCHES have also joined the flight. At Jones Beach West End there were two CLAY-COLORED SPARROWS together and a flyover DICKCISSEL at the Coast Guard Station hedgerow last Sunday, with perhaps a different CLAY-COLORED near field 2, and birds at Gilgo Saturday included a BLUE GROSBEAK and single CLAY-COLORED and LARK SPARROWS, the latter staying at least to Monday. Among the other highlights at Robert Moses State Park last Sunday were three CASPIAN TERNS, both YELLOW-BILLED CUCKOO and BLACK-BILLED CUCKOO, RED-HEADED WOODPECKER, and a HOODED WARBLER. At Smith Point County Park in Shirley, a female YELLOW-HEADED BLACKBIRD was spotted in a Brown-headed Cowbird flock last Sunday, and two DICKCISSELS were noted there that day, while the summering GLAUCOUS GULL was still present there today. Last Sunday a BLUE GROSBEAK and DICKCISSEL were seen along Town Lane in Amagansset. Nice birds at the Theodore Roosevelt County Park in Montauk included BLACK-BILLED CUCKOO and BLUE GROSBEAK Sunday, and LARK and CLAY-COLORED SPARROW plus DICKCISSEL on Monday. Two RED-HEADED WOODPECKERS and a PHILADELPHIA VIREO were at Camp Hero in Montauk Point State Park on Sunday, and two BALD EAGLES were spotted overhead there on Monday. Another BLACK-BILLED CUCKOO and two CLAY-COLORED SPARROWS were present around Montauk Inlet Sunday, when two LESSER BLACK-BACKED GULLS were also at Fort Pond. Birds aren't the only animals migrating right now. 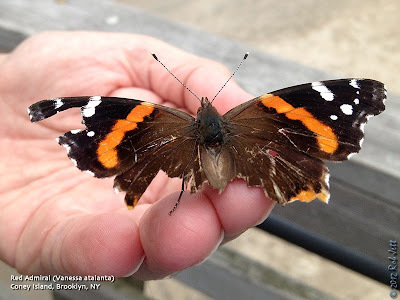 I found this Red Admiral perched on a lower rung of the railing at Coney Island's "Pat Auletta Steeplechase Pier". The early chill on Monday had this butterfly with badly worn wings waiting for warmer temperatures before continuing its flight south. I carried it to an overgrown field where it had a better chance for food and warmth. 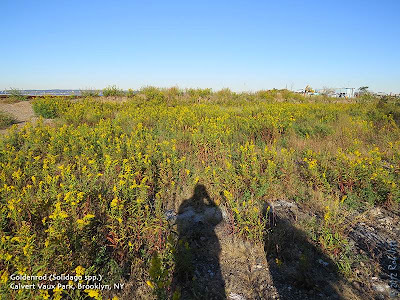 I spent Saturday from sunrise until just after 5pm scouring Floyd Bennett Field for birds. Three seasonal specialties I was hoping to find were American Pipit, Dickcissel and Eastern Meadowlark. By the end of the day I experienced a lot of migrating sparrows with one major discovery that was a life bird for me. I met Heydi on the bus on the way down Flatbush Avenue. Once at Floyd Bennett we walked the runway towards the cricket field with the rising sun at our backs. Savannah Sparrows seemed to be popping out of the weed-covered berms every few feet. As we approached the cricket field small flocks of sparrows continued to drop in after their night's flight. Flocks of robins were also flying in from everywhere. A pair of Black-bellied Plovers sitting in the center of the field spooked and flew off. The pair called back and forth as they headed south towards the bay. After surveying the weedy edges of the field we headed towards the community garden, following the edge of a dirt berm that parallels the roadway. A juvenile White-crowned Sparrow was among a mixed flock of Savannah Sparrows, Palm Warbler and Yellow-rumped Warblers. Eastern Phoebes hawked for insects from perches in ailanthus and sumac trees. The community garden was active, but mostly with more Palm Warblers and Savannah Sparrows. A nearby mockingbird seemed to have a preference for flycatcher vocalizations and alternately sang excellent impersonations of Eastern Phoebe and Willow Flycatcher. After an early break for lunch we decided to head back to the cricket field to search the weedy edges for a possible Dickcissel. We also planned on walking the paths of the North Forty. Fellow birder Rich Fried was at the cricket field and joined us for the unexpectedly, mosquito-infested walk along the northern-most environs of Floyd Bennett Field's property. 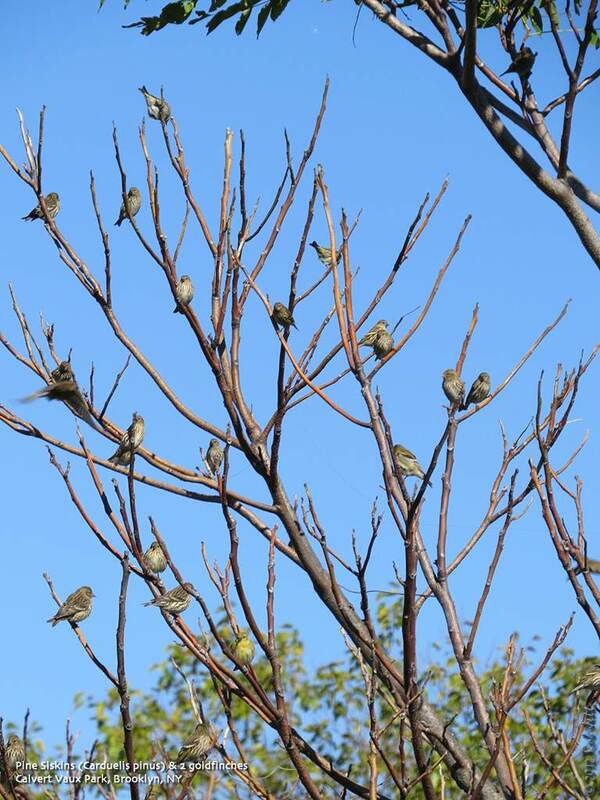 About 1/4 mile into the walk we encountered a fairly large mixed flock of songbirds feeding along the trail. The dominant species was White-throated Sparrow, but there were also Song Sparrows, juncos and Indigo Buntings. There were also several species of warbler, many phoebes and Red-eyed Vireos. At one point a very bright Philadelphia Vireo appeared in the branches above us from within the fast moving, feeding flock. At an intersection in the trail the feeding birds made a right turn and followed the mowed track, looping back towards where we initially encountered them. A moment later I spotted a Dickcissel in a low shrub at the left edge of the trail. While I was trying to describe the location to Rich and Heydi, the bird disappeared into the tangle. Fortunately it popped back out a moment later. Rich headed back to his car parked near the cricket field while Heydi and I continued through the North Forty. The bird activity started slowing down and the only other excitement along the 1.25 mile trail was a large Eastern Ratsnake that slithered across the path in front of us (it actually startled me). The campgrounds within the conifers at "Ecology Village" was nearly devoid of birds so we continued our marathon to a small, weedy field adjacent to a baseball field. There were more Savannah Sparrows there and not much else. 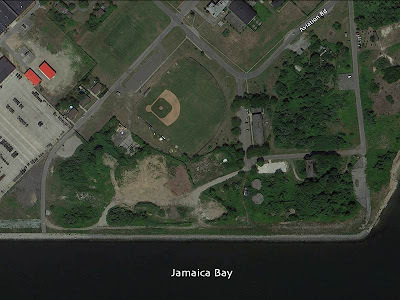 I thought it might be interesting to bird a narrow stretch of grassy habitat that runs parallel to Jamaica Bay towards the Gil Hodges Bridge. It was low-tide and I thought we might be able to walk the shoreline, pass under the bridge and continue to bird at Dead Horse Bay. About 100 yards into our walk, however, a small, pale-orange bird popped up out of the grass to our left then quickly dropped down out of sight. It had a very weak flight that reminded me of the typical marsh sparrows we see locally on migration - Saltmarsh Sparrow, Nelson's Sparrow and Seaside Sparrow. Its orange coloration had me excited and we "pished", hoping the bird would reveal itself again. It did and my heart raced when I focused in on it. 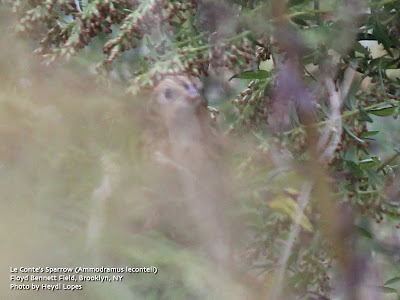 At first we could only see the bird's face and thought it was a Grasshopper Sparrow. It made an unfamiliar twittering sound, then climbed up a little higher in the mugwort-dominated patch. Heydi snapped a few photos and we looked at them in the camera's view finder. After comparing the image to plates in a field guide we were certain that it wasn't a grasshopper, but rather the more rare Le Conte's Sparrow. I took out my phone and sent a text to the "Brooklyn Birds" text alert group. I also made a couple of phone calls to friends who might be able to get there to see this rare Brooklyn visitor. According to my phone log I sent the text at 3:46pm. We stuck around for nearly 2 hours trying to get better looks and more photos. 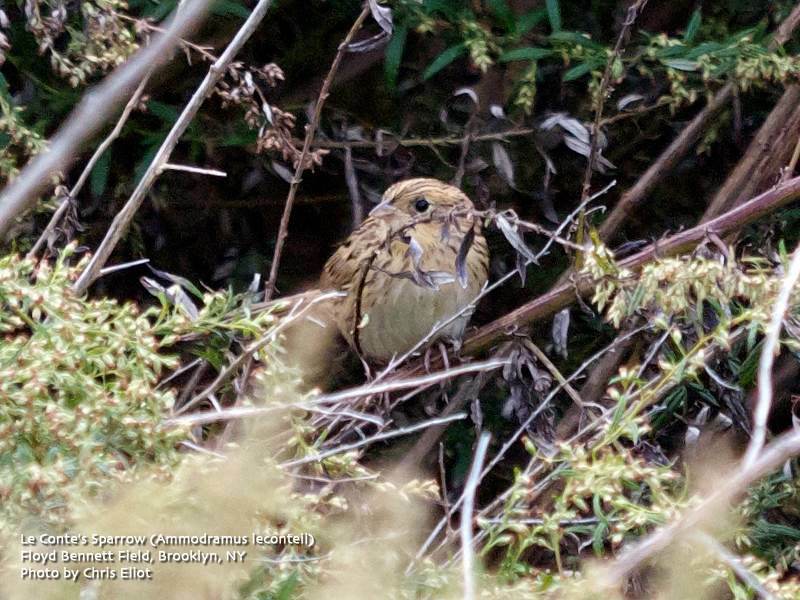 This sparrow of wet grasslands is not well understood due to its very secretive nature. It was relatively late in the day so I didn't expect many birders to be able to get out to Floyd Bennett Field. I knew once the word spread that lots of people would come searching on Sunday. While Heydi and I were walking back to the bus at Flatbush Avenue, Mike, Keir and Chris drove up to us. I gave them updated directions to the bird (it had moved farther West along the trail). That night I learned that they did actually find the bird and Chris was able to take a few photos. The weather the next day was cold and wet. Having birded for 10+ hours and walked over 10 miles on Saturday I opted to stay home and rest. Heydi went back to help folks try and relocate the sparrow. Unfortunately it was never seen again. I felt bad for the people that missed this beautiful little bird, but took some solace knowing that at least three other people were able to see it. 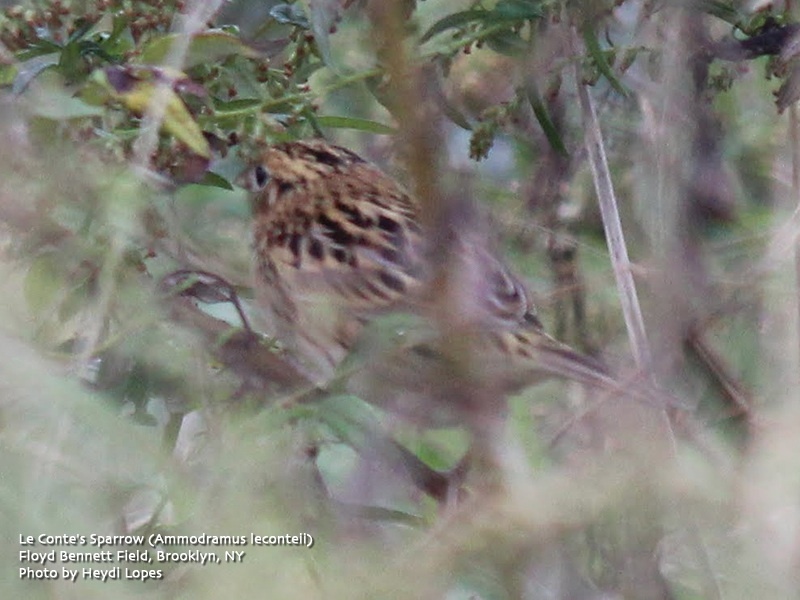 My friend Doug found the previous Le Conte's Sparrow in Brooklyn on 10/8/2008. That bird was seen at Plum Beach, which is just across Plum Channel from where we spotted Saturday's bird. Perhaps they pass through this area every year unnoticed during migration. I'll be sure to check both of these locations every year in early October. 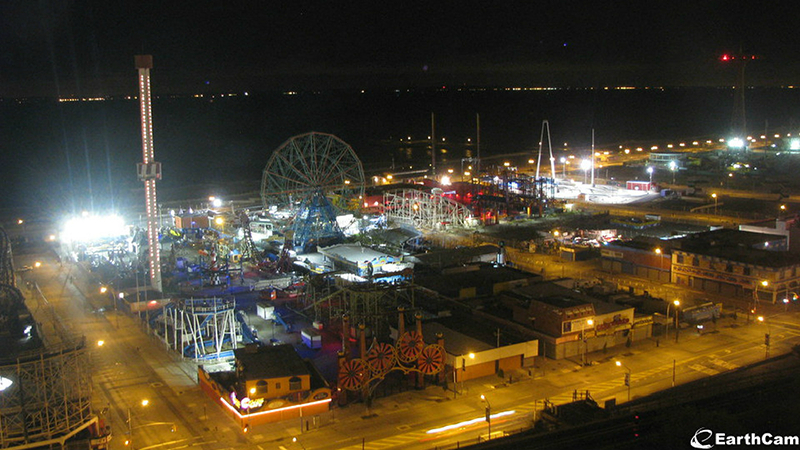 Sunday, October 14, 2012, 3 p.m. Guides: Gabriel Willow, Victoria Ruzicka With Randall's Island Park Alliance, Inc. Meet on the N.W. corner of 102nd Street and the FDR Drive. We'll walk across the foot bridge to Randall's Island, an under-explored location in the East River that hosts restored freshwater wetlands and salt marsh. We'll look for fall migrants (both waterbirds and land birds) as we explore the results of recent restoration efforts. Two miles of walking and some modest climbs. Guides: Don Riepe, Mickey Cohen With American Littoral Society Meet at Pier 2 in Sheepshead Bay, Brooklyn. Enjoy a 3-hour cruise aboard the 100-foot boat "Golden Sunshine." Visit backwater marshes near JFK Airport and learn about the history and wildlife of the bay. See nesting peregrine falcons, osprey, egrets, shorebirds, and more. Includes refreshments. To register, contact Don Riepe at (718) 318-9344 or donriepe@gmail.com. Saturday, October 13, 2012, 12 noon to 2:00 p.m. Evidence of animal life as well as geologic history and human influence will be observed as we take an unhurried stroll on a one-and-a-half-mile walk through Long Pond Park. Meet at PS 6, on Page Avenue and Academy Avenue, about 3 blocks northwest of Hylan Blvd. Join herbalist Gert Coleman for a walk at Conference House Park to learn which weeds and herbs are ready to harvest and how to use them. Focus will be on such plants as evening primrose, artemesia, mugwort, elder, and the herbs in the Colonial Herb Garden. Meet in the parking lot at the end of Hylan Blvd. Sunday, October 14, 2012, 11:00 a.m. to 1:00 p.m.
Join naturalist Mike Shanley and learn all about sparrows. 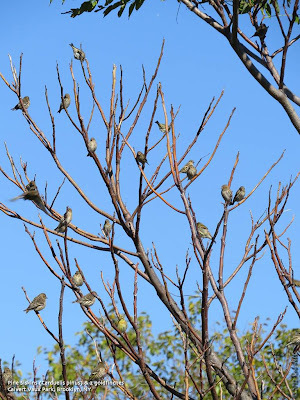 This beginners workshop will cover the different species of sparrow on Staten Island, how to identify these “little brown jobs”, and where to find them. We will also learn how important grassland habitat like Mt. Loretto is for sparrows and other field birds. Meet at the Mt. Loretto, DEC parking lot on Hylan Blvd. The Big Sit: A 24-hour Birding Event! Join the hotshot birders and naturalists, and learn more at the Bird Watcher’s Digest annual event on William T. Davis’ Birthday! For More information call Ed Johnson at 718.483.7110. 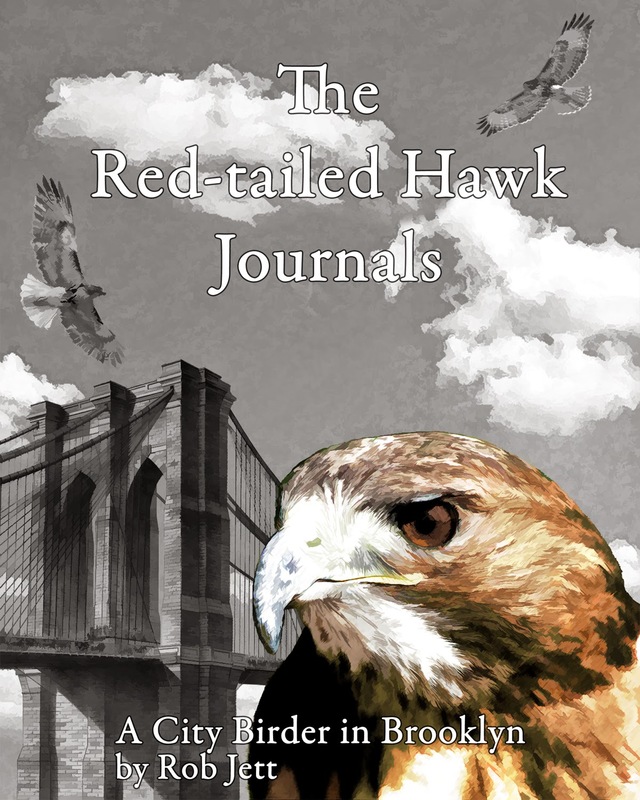 Witness hawk migration in Staten Island skies! 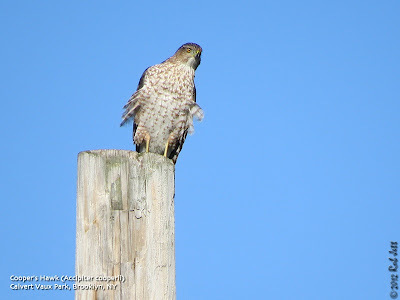 Join Nature Section hawk watchers to help count raptors including red-tailed hawk, cooper’s hawks, eagles and more! Meet at Meisner Ave and Rockland Ave. 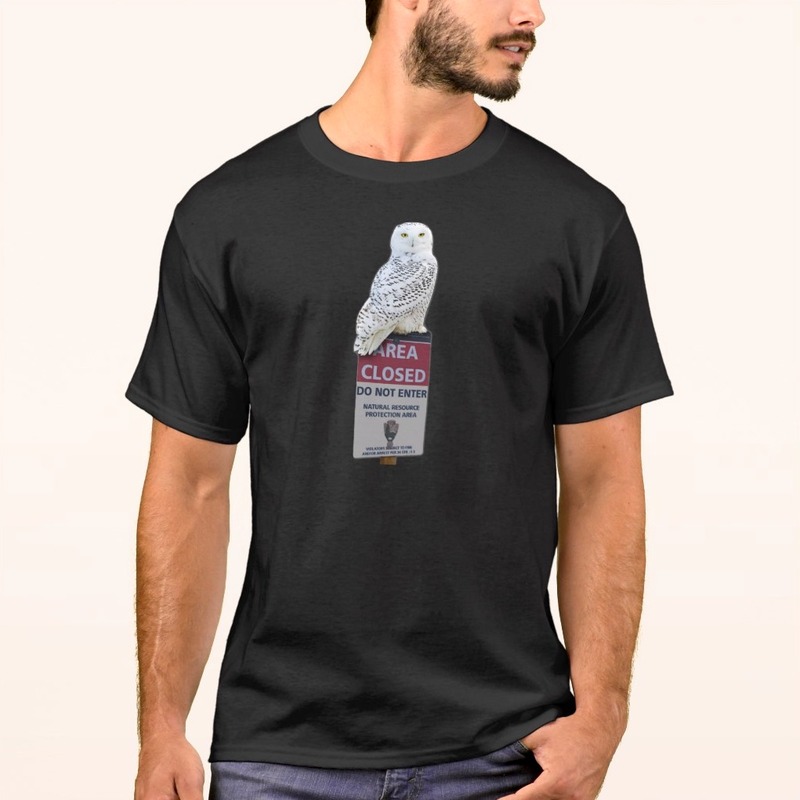 Check for migrant and talk birding with John Young. Bring your own binoculars, If you have them.